Cory Williams knows all about how to amass views on YouTube. He’s been uploading videos to the platform for over a decade, racking up more than 10 million views on some of his most popular videos. However, while he might be familiar with the tricks of the trade, it’s his wife, Kristen, who really knows how to go viral. That’s why when she challenged her husband to a taste-test challenge, she gave him a surprise he’d never be able to forget. The video started off exactly as you’d expect it to. 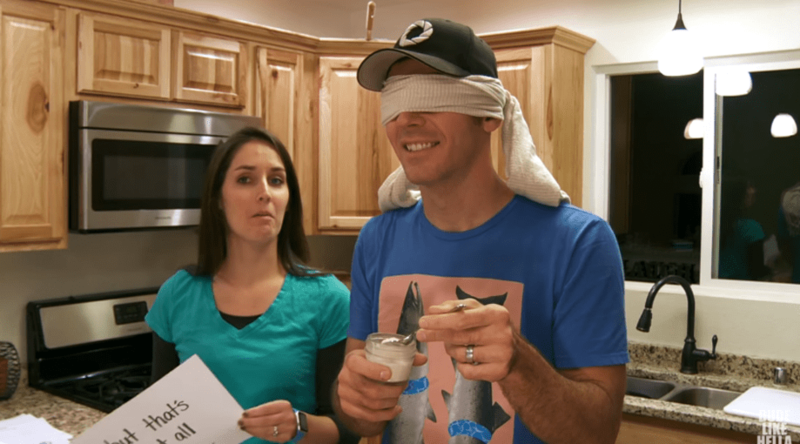 Cory was blindfolded and handed a jar of food to eat from, the taste of which was far from unpleasant. However, while he snacked on some honey-flavored ice cream, it started to become apparent that there was more to the video than met the eye. 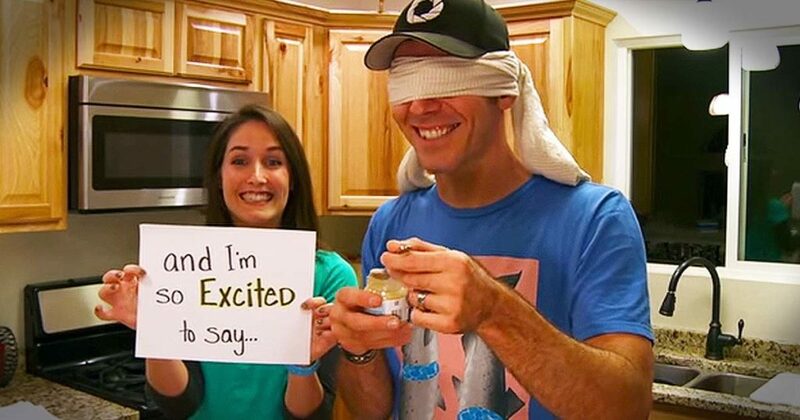 Kristen had pulled out some cue cards revealing that while her husband believed he was just doing the taste test, there was something much more exciting in store for him. The mystery deepened as Kristen handed over the next jar of food. While Cory was delighted by the taste of avocado, his wife revealed that one of the food samples contained a massive surprise. She couldn’t hold back her smile as she teased the audience, her husband completely unaware as he stood there blindfolded. However, as the next jar was placed into his hand, he found himself receiving the most unexpected surprise. Cory knew instantly what the last jar contained. He found himself reminiscing back to his childhood as he savored the taste of banana baby food, and it prompted Kristen to ask why he thought she’d given it to him. His immediate response was because he’d liked it so much as a baby, but that wasn’t it. It was only when his wife repeated the question that the cogs started turning and he realized something incredible. When Cory asked, Kristen confirmed that she was pregnant. A moment of silence followed before she removed the blindfold and assured him they were having a baby. Cory found himself uncharacteristically lost for words. Overwhelmed and emotional, he didn’t know what to do with himself. He kept asking Kristen if she was sure, and he even demanded to see the pregnancy test, but she wasn’t lying. She was 100% pregnant, and the pair were months away from becoming parents for the first time. Seeing the proof for himself made Cory happier than he ever thought possible. He and Kristen had only been married for a few months, but he’d been excited about the prospect of parenthood for a long time. Now that his wife was with child, everything felt like it was falling into place. His little family unit was coming together, and he couldn’t wait to welcome his new son or daughter into the world. Since the pregnancy announcement went live on YouTube, it’s received over six million views and become one of Cory’s most popular videos. We guess that’s just the power of true love and happiness.